Today is an ice cream double whammy. I warmed you up (or maybe I should say cooled you down) yesterday with our Top 10 Favorite Ice Cream Posts roundup. Today we have an all new ice cream craft, two of them actually. First up you can pop over to Craft Magazine and read my post about how to make homemade pumpkin pie ice cream. My husband and I make this frozen treat every fall and it is always a big hit. So much of a hit we sometimes give it as a gift which brought about today’s I Love to Create post. 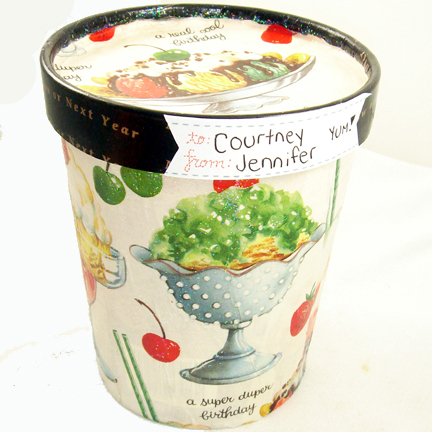 How do you customize and gift wrap ice cream? Well luckily it starts with eating ice cream. If you are like me you always have a carton of ice cream in the freezer. 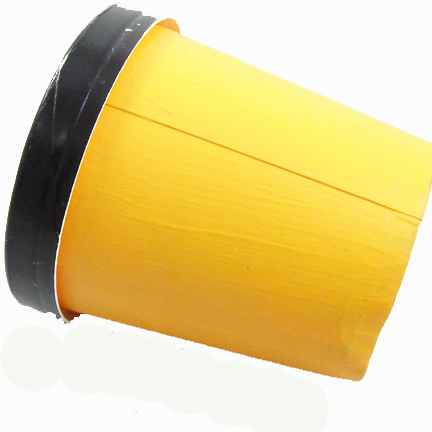 When the carton is empty rinse it out, dry it off and set it aside for revamping. 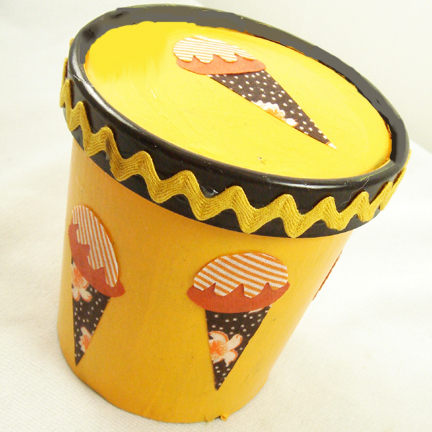 Using a Crafty Chica Paint and sponge brush paint your empty ice cream carton. This may take several coats. I went with a warm fall color palette since my carton was going to hold pumpkin pie ice cream. Allow to dry completely. 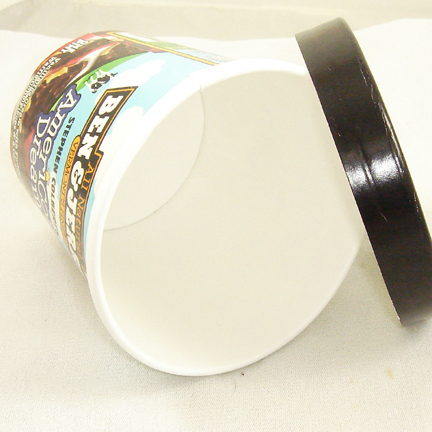 For extra spice using Aleene’s Tacky Glue I also applied gold colored rick-rack to the rim of the carton lid. I just so happened to have some vintage ice cream themed wrapping paper laying about that begged to be used. 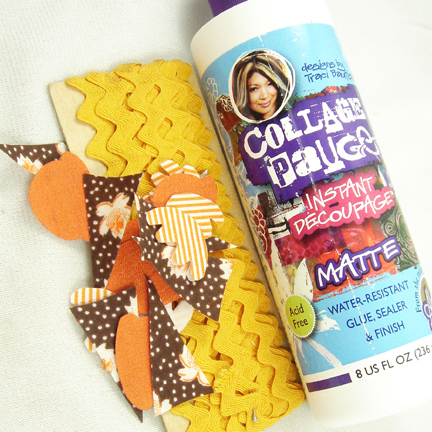 I cut the paper to the size I needed and using Collage Pauge Sparkle I applied it to another empty ice cream carton. Now all that is left to do is make some homemade loquat or pumpkin pie ice cream to fill my cartons with! Posted November 19, 2009 & filed under Cooking Crafts, Crafts, I Love to Create.